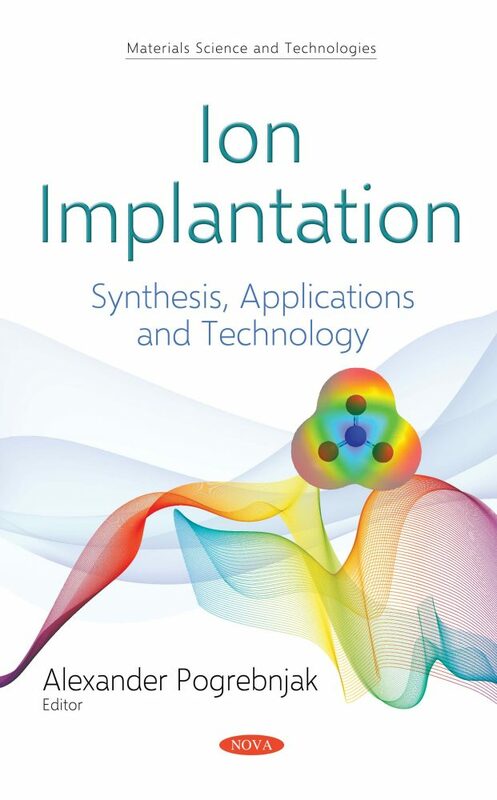 New results in the field of ion implantation from the experienced scientists from different countries are presented in this book. Influence of ion implantation on structure and properties of semi-conducting materials, instrumental steels and alloys, nanocomposite coatings, including multielement ones, titanium alloys with the shape memory effect and super-elasticity are discussed in detail within this book. New data on novel applications of ion implantation for the modification and testing (radiation hardness simulation) of memristive devices, as well as application of ion implantation of group V dopants in the MCT epilayer are presented in this book. Potential use of ion implantation for the synthesis of Ag nanoparticles in a thin Si layer for the development of thin-film solar cells fabrication technology is discussed. The effect of ion implantation on the physical and mechanical properties of the hard alloy plates based on tungsten carbide and a cobalt binder is described. A study of the effects of ion implantation on the phase composition and the structure of materials is presented; the development of displacement cascades during ion implantation and their influence on the formation of the structure of the processed materials are shown. The role of defects in the formation of the phase composition of the ion-implanted materials, as well as the structural-phase transformations in metals after ion implantation is investigated. This book will be interesting for professionals in the study of solid state physics, nuclear physics, physics of semi-conductors and nanomaterials. It can also be useful for masters and PhD students, as well as for professionals researching the fabrication and investigation of protective materials with enhanced physical-mechanical and tribological properties, good biocompatibility and resistance to irradiation.